Boston Celtics' Marcus Smart leaves the court during the second half of a game against the Orlando Magic in Boston on Sunday, April 7, 2019. Fans knew something was wrong when Smart left the game on Sunday clutching his left side. 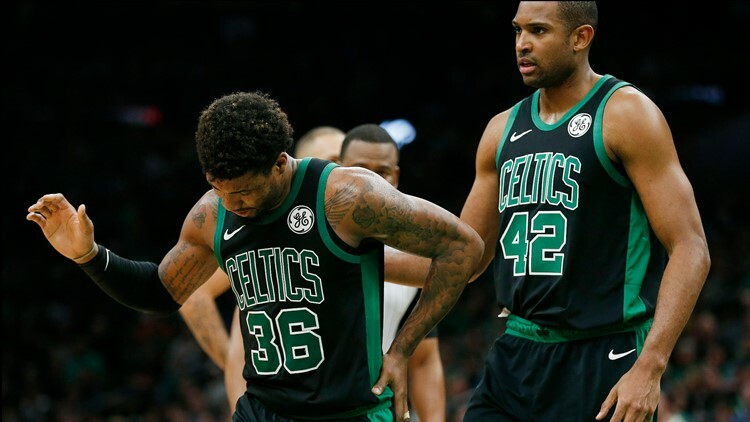 BOSTON — The Boston Celtics say guard Marcus Smart will be sidelined 4 to 6 weeks after being diagnosed with a partial tear to his left oblique abdominal muscle.